Root Canal Therapy or Extraction: Can My Tooth Be Saved? Here at Signature Smiles, we always strive to ensure patients experience the best dental health possible. When dealing with serious dental health problems, the team at our Woodinville restorative dentistry carefully craft each procedure to address the needs of the patient. When a root canal infection occurs, dentists have a few options to consider for care. Let's take a moment to compare root canal therapy and tooth extraction, and discuss which option may be best for patients. To understand what a root canal infection is, we should first consider the anatomy of a person's tooth. Inside of each tooth is a small bundle of soft tissue known as dental pulp. This dental pulp consists of blood vessels, nerves, and connective tissue, all of which was essential for the initial development and formation of the tooth. Following severe tooth decay or trauma to a tooth, bacteria may be able to access the pulp chamber and infect the dental pulp. When this occurs, it is known as a root canal infection, and it can be quite painful. 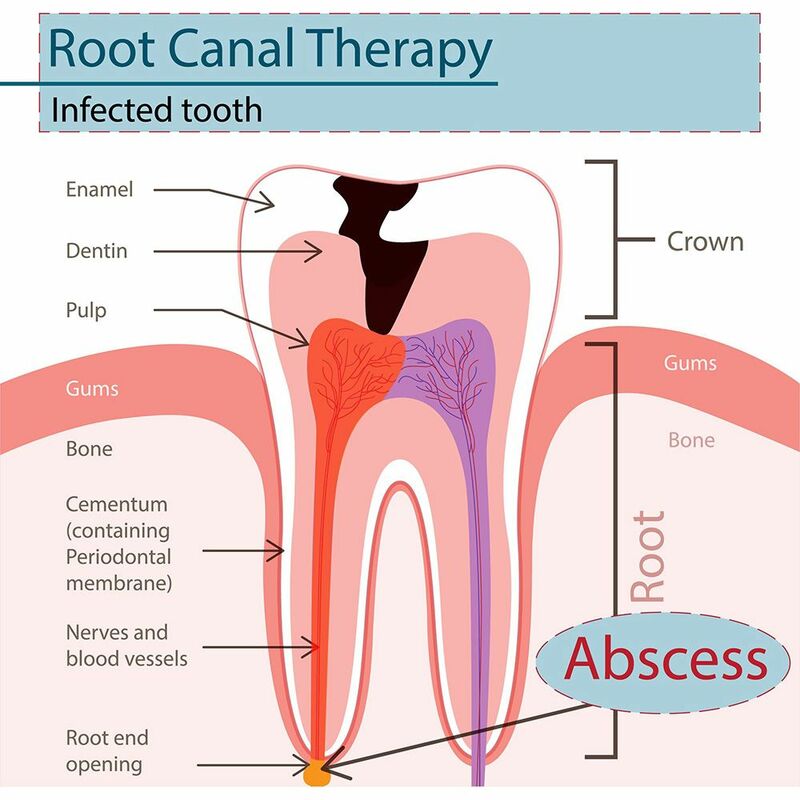 If you suffer from a root canal infection, it is important that the issue be treated as soon as possible to prevent the spread of infection and much more serious dental health and general wellness problems. Can an Infected Tooth Be Saved? If the infection is caught early enough, it's possible to save the tooth and remove the infected dental pulp. This procedure is known as root canal therapy (endodontic therapy). During a root canal, a dentist removes the diseases dental pulp from a patient's tooth. The pulp chamber within the tooth is sterilized to prevent future infections. Once cleaned out and free from bacteria, a dentist can fill the pulp chamber with an inert material. The treated tooth is then capped with a dental crown to restore the tooth's strength and prevent further infections from occurring. Following root canal therapy, a patient will no longer experience pain or discomfort associated with the infected tooth. They will be able to bite and chew normally without discomfort as well. If the root canal infection is too advanced to be treated and/or there is substantial damage to the infected tooth, endodontic therapy will no longer be a viable option. This is when tooth extraction is ideal. The extraction will help stop the spread of infection, protecting the gums, adjacent teeth, and jawbone from harm. After a tooth is extracted, it can be replaced using a dental bridge. This artificial tooth is held in place by bracing around the adjacent teeth. It's also possible to have a dental implant placed to support an individual dental crown. The right prosthodontic option for you and your needs can be discussed during the consultation process. Ideally, it's best to avoid tooth extraction if possible. Maintaining as much of a patient's original tooth structure tends to be best overall. Yet sometimes this is not possible, and the ideal option is to extract a tooth to prevent more serious problems to dental wellness. To learn more about treating infected teeth and enhancing your overall dental health, be sure to contact the team at Signature Smiles today. We look forward to your visit and discussing all of your options for treatment in much greater detail.